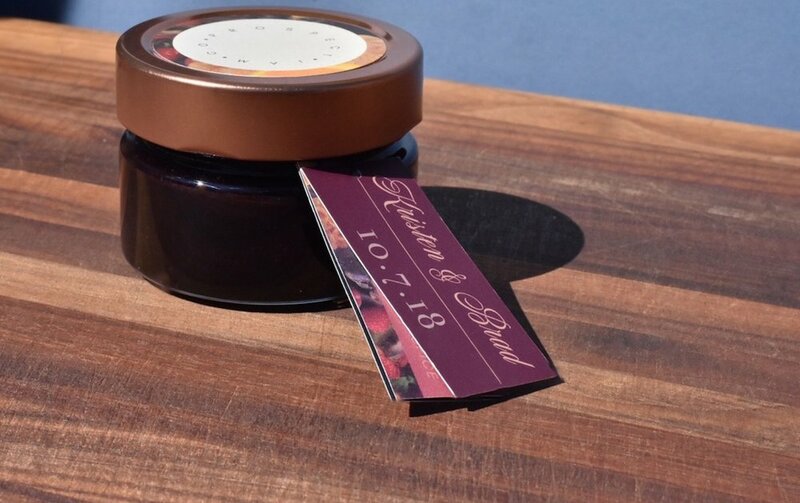 Jam Favors — Prospect Jam Co.
We offer a 6oz jar individually for special occasions or for when you want to impress your friends with a beautiful takeaway. We would love to start a conversation to make sure you get everything you’ve dreamed of. We do have a few requirements for specific requests but we can get into that after we have an idea of what you are looking for. Please share your vision with us below & we can see how we can help! Minimum Requirement 12 jars | Maximum is up to you. All orders with Custom Hangtags will require a 96 jar minimum order at this time. Yes! I am planning to order over 96 favors and would LOVE a custom element. Not quite sure, tell me more! These will need to be shipped to me. Let's discuss my options! Tell us anything else you think could help us with your vision. This includes telling us if you have a favorite PJco preserve or a specific flavor in mind. Your form has been submitted. We look forward to being in touch within 7days to start a conversation about your favor order.